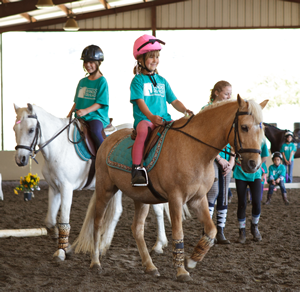 Our weekly camps start with the basics of correct position, steering, riding around obstacles, posting trot , jumping position, trail walk, games on horseback, and riding together. Campers put on our end of the week show, demonstrating all they have learned and perform it for their parents and friends on Friday afternoon. Repeat campers get to continue to learn new skills. Limited space available so register today and reserve your slot!! 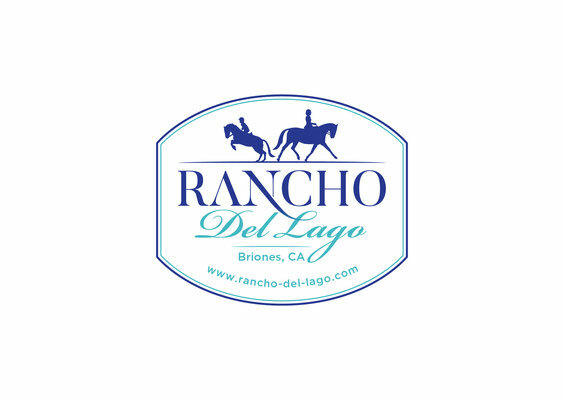 Since 1998, Rancho del Lago has hosted weekly summer and Holiday horseback riding camps in Briones, California. 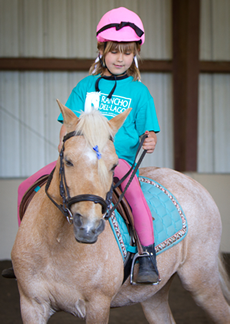 Campers ages 5 ½ to 13 learn to groom, tack up, ride, and care for horses. We are one of the only Bay Area horseback riding camps to use Welsh ponies, which are just the right size for many of our campers. Of course we have full sized horses for our taller campers too. 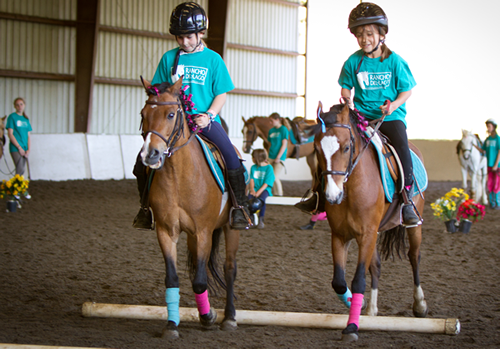 Our weekly camps start with the basics of “stop, go and steering.” Then we move on to riding around obstacles, learning how to post the trot, and practicing jumping position. In the latter part of the week, campers put together a routine in our end of the week show, demonstrating all they have learned and perform it for their parents and friends on Friday afternoon. Repeat campers who are more advanced have lessons in a second group so that they also continue to learn new skills. We teach the English or European style of riding. This includes the basic balanced seat, and direct reining. These are the early basics of any style of riding. 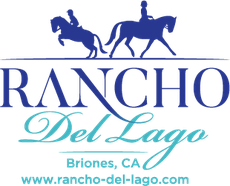 Our campers often become year-round students and compete in dressage and jumping. 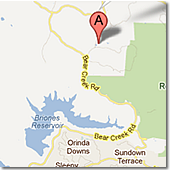 Our camps run for 1 week sessions, and many of our campers come for several weeks each year for many years! Some of our earlier campers are now Counselors in Training and are helping with our camps this year. We do really cool “horsey” crafts and just have a great time! Come join us!! Bring a friend to camp receive $25* off tuition!